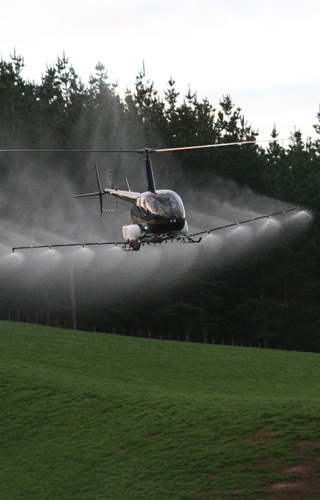 Outback Helicopters Ltd can provide you with a Professional, Hassle-Free Service for all of your Spraying Requirements. Due to Outback Helicopters Ltd bulk buying power, we are able to supply a wide range of different agrichemicals at very competitive prices. Outback Helicopters Ltd can offer you technical advice on which products to use and timing of applications. This can assist clients in getting maximum results for minimum cost. Outback Helicopters Ltd offers free quotes for any helicopter service you may require. We are also more than happy to visit you for a site inspection, to discuss your needs.